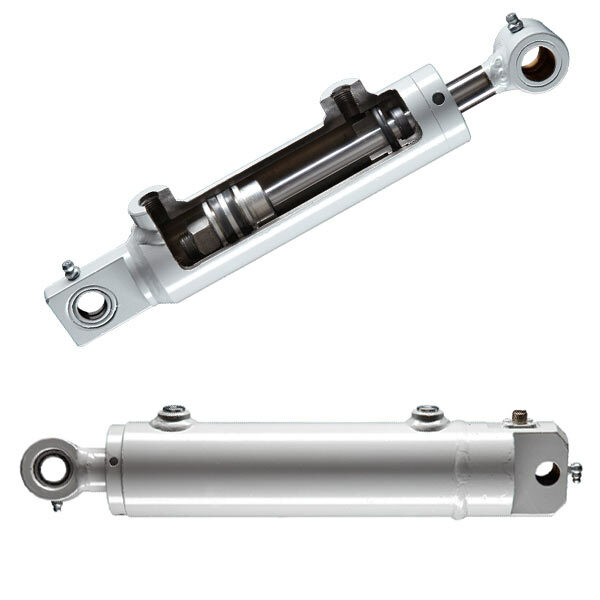 In applications where hydraulic power is needed, the double acting hydraulic cylinder is more common that the single acting hydraulic cylinder. With the double acting cylinder, force is delivered in both directions and there is fluid on both the rod and base sides of the piston. In applications where gravity or weight can assist retraction, hydraulic pressure is still often applied to help control the double acting hydraulic cylinder. In these types of cylinders, the push action requires more force, is slower, but more work output is created while the pull action is faster with less work output being generated. All of Best Metal Product’s double acting hydraulic cylinders and piston type. This means that the hydraulic cylinder pushes against the piston while the seal prevents the bypass of fluid. We also have four proprietary safety valves that are knows as cartridge valves. These include pilot-operated check valves, flow control valves, internal bypass valves, and counterbalance (CB) valves. The CB valve is especially critical because it protects against over-center conditions. Besides our four proprietary valves, we also have invested heavily in cylinder cushioning technology. This technology allows our double acting hydraulic cylinders to stop fast travel in a precise, repeatable, and vibration free way. This soft style of landing is a significant advantage in applications such as manually-controlled man lifts, but is also highly sought after as a way to reduce mechanical stressors and lengthen the life of the cylinder and associated components. At Best Metal Products, we are the OEM choice in double acting hydraulic cylinders in Grand Rapids. We are known as a leader in the design, prototyping, and manufacturing of hydraulic cylinders for OEMs in the mobile and industrial hydraulic cylinder markets. If you’re in need of a hydraulic cylinder expert in Grand Rapids, contact Best Metal Products today!